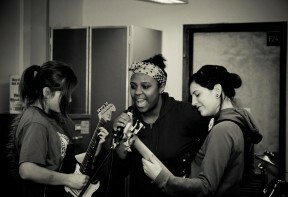 For 2019, Rain City Rock Camp is revisioning our Amplified Teen Voices Program with a new team of advisors, a deep passion for exploring the role of girls, gender-marginalized folks, and people of color in the Seattle and global music scene, a dynamic new leadership training and gear-knowledge-centric curriculum, and opportunities to work with other like-minded organizations to make real change in our community and beyond. 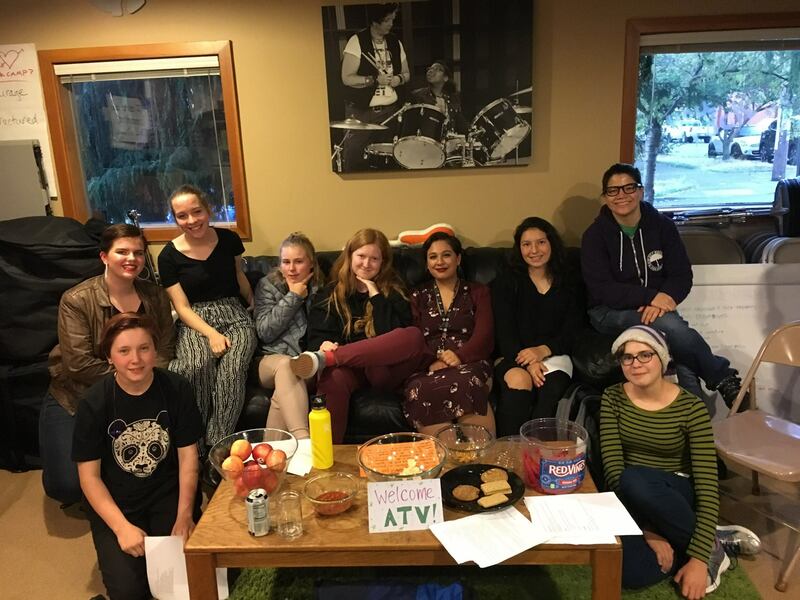 We are currently accepting applications for our 2019 Amplified Teen Voices cohort, to begin in January 2019. As an organization, we are heavily invested in creating a diverse, dynamic group of teen leaders representing many facets of our programming and community, and are always looking for ways to reduce barriers to participation in all of our programming. In order to attract and maintain the participants we feel best represent us as an organization, the 2019 cohort of ATV members will receive a monetary stipend, contingent on attendance at bi-monthly meetings, events, and participation in our summer Internship program. We strongly encourage all gender-marginalized youth and youth of color to apply. *All people who identify as female (cis or trans), trans, or gender non-conforming are welcome to be campers or volunteers in leadership positions at RCRC.